The Fearless are coming, and then suddenly they are here. Cassie’s life is torn apart that night. The Fearless are brutal, they destroy whatever and whomever gets in their way. Somehow Cassie and her brother get away. They get to be part of the small group who make it to the island. 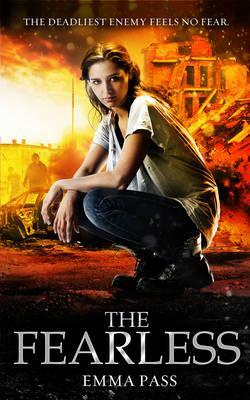 Her brother is the last person she has left in the world and she will do anything to look after him. When the island is invaded and he is taken, there is nothing Cassie won’t do to find him and bring him home. This includes making a deal with Myo, a strange boy who turned up on the island the same time as the Fearless. He came from the mainland and seems to think he knows where her brother is going to be taken. Myo though has secrets of his own. Secrets that will destroy their very fragile truce if Cassie was to discover them. This is a zombie story with a twist. These zombies are man made and they are not totally brainless, some of them, they are however very driven. There is a lot of dark texture to this story. Cassie is tough and focussed but not as competent as she originally thinks. She also doesn’t know as much about what is really going on as she should. This narrow focus and interest is part of what will cause her big problems. Myo is just as driven as Cassie but his reasons are part of his big secret. This secret adds an interesting layer to the story. Cassie has to go through a big learning curve as she begins to understand that things aren’t as simple as she has been led to believe, the world she thought was black and white really has many shades of grey. Davey Warner is never very far away from his favourite piece of cricket equipment, Kaboom – his cricket bat. 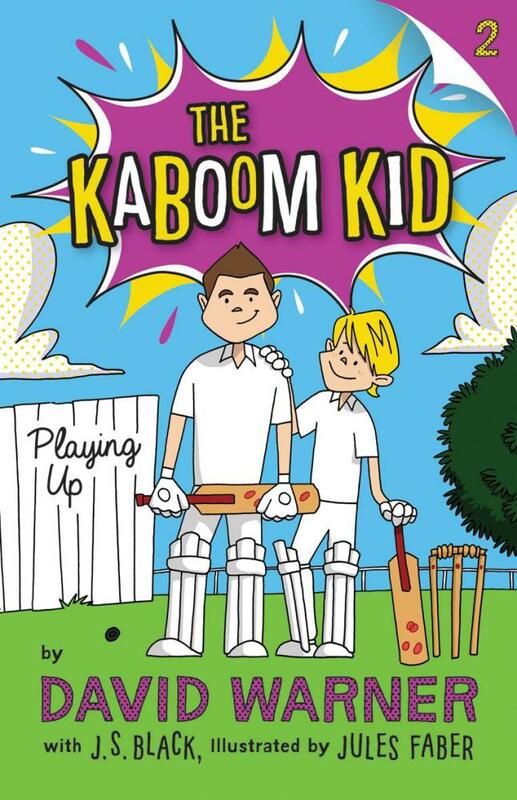 When he is batting with Kaboom he feels that nothing on the cricket pitch can beat him. This becomes a very big problem when he misbehaves in class and has his bat confiscated. Mr Mudge is not in any mood to return the cat, apology or no, Davey needs to learn his lesson. This situations becomes even more horrible when Davey finds out a selector is coming to watch his team train. How is Davey going to manage without Kaboom? And just how far will he go to get his bat back, especially when he gets asked to play with the older team? This is the second book in this series and is really good for cricket lovers, filled as it is with cricket references and action. Davey seems fairly one dimensional, cricket being his everything and so I’m not sure how that will hold up as a series, having said that though, these books have a very clear target audience and if you fit into that category I’m sure there will be plenty of crocheting adventures to keep you interested. The format of the book is such that it is an easy read. The paragraphs are short, and there is a lot of white space on each page, separating the text and giving it a less overwhelming appearance. There are also simple line illustrations scattered throughout. Young Dave Warner is obsessed with cricket. Whenever he has a spare moment he is thinking about or playing cricket. He even dreams about his favourite game. This is all well and good until he finds out his teacher for the new year of school is Mr Mudge and they all know Mr Mudge hates cricket. This is not looking like a good start to things, especially with such an important match coming up. Things get worse though when it turns out Mo Clouter is also in Davey’s class. Mo doesn’t like cricket either and thinks it is funny to always get Davey into trouble. Davey is determined to make the best of things though, working all he can on a new move for the big game. Then Davey and his friends get a whole stack of detention and it doesn’t look as though there is ever going to be any time to work on his secret weapon. Will Davey find a way to perfect the move before they have to play? This is the first in a series introducing a young David Warner, (funnily enough the name of the co-author who currently plays cricket for Australia). 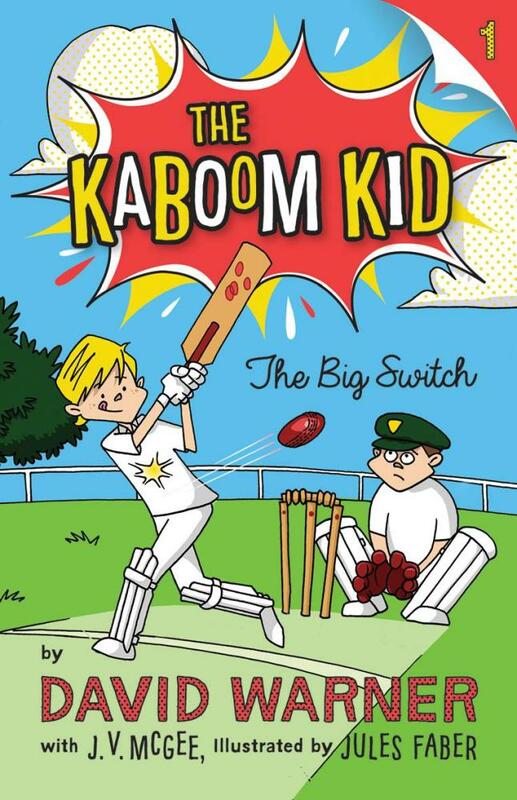 Davey has only one interest, cricket, so if you have a cricket mad kid whom you would like to get reading then look no further. Lots of cricket references, the whole plot revolves around getting to play more cricket and working on a special cricket move. Everything is pretty relatable as it could be any kid in any school in Australia. 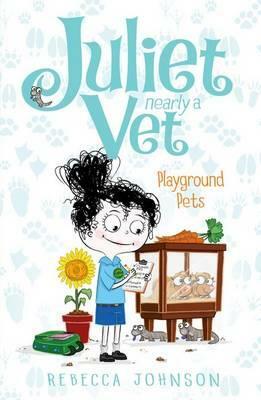 Juliet is ten and has a real passion for animals. Most schools don’t have many pets but hers does and that is just fine with Juliet because she loves animals and wants to be a vet when she is older. Also she loves to help out. One day they get a replacement teacher for science class, Miss Fine, but it turns out that Miss Fine doesn’t know very much about looking after animals so Juliet and her best friend Chelsea volunteer to help her. All is going well until it isn’t and then they lose someone and some babies might be coming early. It seems it is going to take more than two of them to get things back on track. This is a real team story and as such a good addition to the series. The story itself is fun filled, with silly things than can happen when animals are involved. Scattered throughout are also plenty of little facts about different animals that are part of the story, so the book could also be a teaching device but shhhh, don’t let the reader know that. There is even a short quiz at the end of the book. A good little read particularly if the reader likes animals.